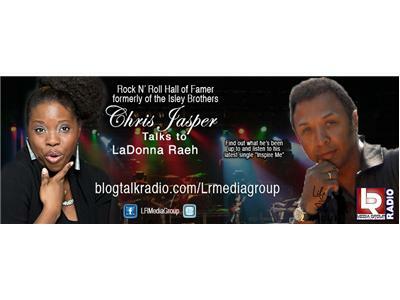 Tune in as Chris Jasper, formerly of the Isley Brothers stops by the studio to talk about music and being inducted into the Hall of Fame. Not to mention his newest CD and single "Inspire Me". Life and the Public Figure, hosted by LaDonna Raeh is a radio platform where celebrity interviews take place for the purpose of having a conversation and paying tribute to them now in life instead of waiting until the afterlife. Our society has become accustomed to celebrating after a person's death. Then regretting the lack of support, love and appreciation during their life. Life and the Public Figure gives a worldwide opportunity to indulge in appreciation to our public figures while their hearts are still pumping! Join us every Wednesday 9am Central on Life and the Public Figure powered by LR Media Group Radio!